Entering into a solar contract is a big financial decision, one that requires careful thought. You’ll be living with your home PV installation choices for a long time, and you don’t want to get burned by a bad deal. To make sure you get exactly what you want at the right price, check out the solar contract tips below before you sign on the dotted line. Industry experts recommend getting estimates from at least two professional photovoltaic contractors before hiring one. Consulting with different home PV installers is the best way to make sure you get a fair price for a high-quality solar power system that meets your needs. For an apples-to-apples comparison of your photovoltaic system quotes, ask each contractor for the price per watt based upon the gross PV installation costs. Price isn’t everything when it comes to a solar contract — the quality of the home PV components used is just as important. When you get your estimates, ask the professional photovoltaic contractors for details on the equipment they plan to install. Look for high-quality, proven solar components. Lesser-known brands may be cheaper, but you may pay the price later when those products don’t live up to your expectations. While home PV components are designed to last, you may have maintenance and operational costs. Every contractor should be willing to provide you with cost projections, as they can impact your bottom line. Plus, not all professional photovoltaic contractors offer the same warranty coverage. Parts, labor and manufacturer warranties can vary. Before signing a solar contract, you need to have a clear understanding of your coverage. Are the photovoltaic contractors who provide your estimates the ones who will do your home PV installation? Or do they outsource the work? You won’t know unless you ask — and the distinction is important. Professional contractors are trained and experienced to complete solar projects. And they’re licensed and certified, so you can trust their work quality. When the photovoltaic installation is outsourced, you have none of those assurances. High-pressure sales tactics are common in the solar industry — many photovoltaic installers want homeowners to make on-the-spot decisions. Regardless of how good an offer seems, don’t let a professional contractor push you into signing a solar contract before you’re ready. Instead, tell them you need time to consider all of your home PV installation offers. Perhaps most important, never believe emails or verbal promises are part of your legally binding solar contract. Everything that’s included should be clearly written into your contract. Make sure all the terms and conditions are spelled out before you sign. If it isn’t in the solar contract, it isn’t part of the photovoltaic installation deal. Intermountain Wind & Solar, the region’s leading commercial and home PV installation professionals, provides high-quality service and favorable warranty coverage at an affordable price. Plus, we never outsource any of our work. For a complimentary, hassle-free solar contract consultation, contact us today. Are you confused by solar energy terminology? The terms commonly used in the industry can sound jargon-y if you aren’t hip to the lingo. Check out our photovoltaic glossary for easy-to-understand definitions of 10 of the most common technical terms. Photovoltaic systems need more than solar panels to generate electricity. The balance of system (BOS) refers to everything else involved in a PV array installation. Design, mounting and wiring components, battery storage, operations and all related costs are considered part of the balance of system. Solar panels aren’t capable of harnessing all the sun’s energy. The conversion efficiency of a photovoltaic panel tells you how much of the solar energy hitting a PV array is converted into useable electricity. For electricity when the sun isn’t shining, most photovoltaic systems remain connected to the utility grid. A solar array of this type is called a grid-tied PV system. These days, many grid-tied PV arrays also have backup sources of power, including battery banks, wind turbines and diesel or solar generators. Hybrid PV system is the term used to refer to this type of photovoltaic setup. Connecting a PV array to the utility grid isn’t a simple matter of wiring. Photovoltaic installers also have to meet certain utility and government requirements, fill out the right paperwork and have the solar energy systems inspected to get hooked up to the grid. Photovoltaic panels only capture the sun’s energy — they don’t convert it into electricity. For that, you need an inverter. An inverter takes the DC solar energy and turns it AC power, the type needed for electronics and appliances in the United States. When grid-tied solar panels produce more energy than needed, the excess is sent over to the grid for utility company use. Net metering requires the utilities to issue credit for this extra electricity. Net metering laws vary by state, but many states do not even have any. Not everyone chooses to connect their photovoltaic system to the utility grid — some people rely on battery banks or generators for backup power. This type of solar array is referred to as a stand-alone or off-grid PV system. Over the course of the day, the amount of solar energy that reaches any particular location varies. Peak sun hours is essentially a calculation of how much time the sun is shining at maximum intensity. When photovoltaic panels capture extra electricity, the excess can be funneled to the utility grid — or it can be sent to a solar storage system. Battery banks and solar generators are commonly used as electricity storage for hybrid and off-grid PV systems. Do you need explanations for other photovoltaic industry terminology? The professionals at Intermountain Wind & Solar, the region’s leading residential and commercial solar contractor, can give you clear answers. For more information, or to schedule a free solar energy consultation, contact us today. Should You Mount Your PV Modules on Solar Trackers? Professional solar contractors typically mount PV modules on fixed-tilt racks. But since the modules face the sun for just a portion of the day, a fixed solar array can result in energy production that is less than optimal. Will your photovoltaic system create more electricity if your solar panels rotate to follow the sun’s movement? Perhaps, but energy output isn’t the only consideration in choosing a mounting system. Solar trackers move throughout the day in order to stay aligned with the sun’s position in the sky. Single-axis trackers follow the sun as it moves from east to west. Dual-axis sun tracking systems have two pivot points which allow them to change both the tilt and orientation of the PV modules. Some trackers have motors or drives activated by electronic light sensors or software readings. Others rotate the solar panels using gravity — when solar heat hits a compressed liquid gas and causes its weight to shift, the PV modules move. If you mount PV modules on solar trackers instead of fixed-tilt racks, you can expect greater energy production. According to industry experts, a sun-tracking system can boost output by 20 to 40 percent. Because of the improved performance, sun trackers are considered better than fixed racks in terms of space efficiency — if you install a tracking system, you won’t need to install as many solar panels. Sun-tracking systems are effective, but they come with two significant disadvantages. First is cost. Choosing PV modules with solar trackers comes at a high price. And because of their complexity, trackers take longer to install — which means professional installation labor charges can be higher. Second, when you mount PV modules on trackers, you’ll have to budget for regular maintenance. Fixed-tilt racks rarely need attention, but solar tracking systems have moving parts. Without proper care to keep them in good shape, the mechanisms can fail. Should you install a fixed solar array? Or does it make better sense to mount PV panels on sun trackers? For answers, you’ll need to consult with an experienced professional photovoltaic contractor. No one-size-fits-all answer exists. The decision really comes down to the specifics of your solar installation. If the increased amount of energy you’ll get by installing solar trackers is enough to compensate for the added installation and maintenance costs over the lifetime of your PV modules, going with a sun tracking system could be a wise financial plan. If not (which is often the case), you’ll be better off with fixed-tilt racks. As the leading photovoltaic contractors for Idaho, Utah, Colorado, Nevada and Wyoming, the professional team at Intermountain Wind & Solar can give you expert advice on choosing the right mounting system. To learn more about solar trackers or for help in choosing a cost-effective method to mount PV modules, contact us today. Do you need to hire a professional solar installer? Or can you just do the job yourself? Going the DIY route may seem like a good idea — after all, if you don’t have to pay a photovoltaic contractor, your rooftop solar project will be less expensive. And if you have the right skills, you may be able to handle the job. But for the average homeowner, hiring a professional photovoltaic contractor is a more practical choice. Why? How much time have you spent working on ladders and rooftops? Climbing up and down a ladder, hauling heavy photovoltaic panels and racks, walking around on a sloped surface high above the ground — all these activities can be quite dangerous. Hiring a professional solar installer makes better sense than risking an accident. Are you a licensed electrician? If not, you will want to reconsider completing your own rooftop solar installation. 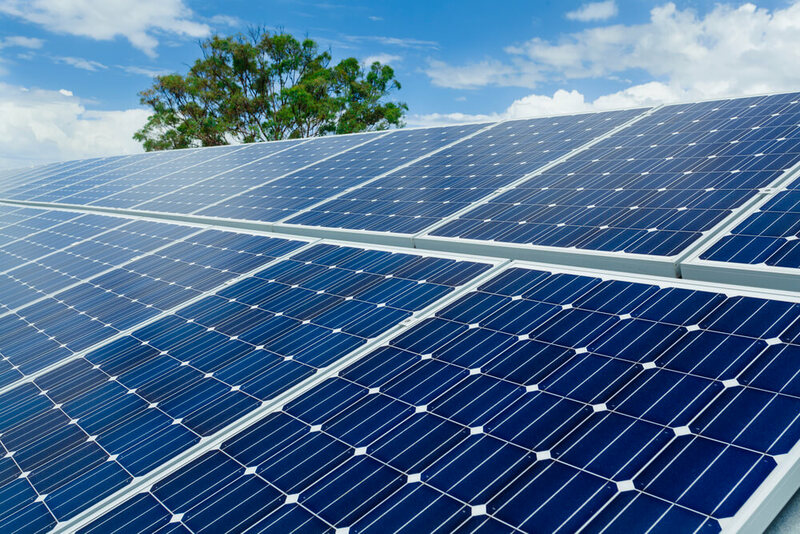 To get the photovoltaic panels up and running, you’ll need to connect the system to your power supply. A mistake here could be costly for your property — and your safety. Plus, most local regulations require the wiring be done by an electrician or solar installer. You might have a shed or home workshop filled with tools, but chances are you probably don’t have all the right equipment to complete a rooftop solar installation. You’ll need more than a ladder and power drill, and some of the necessary tools aren’t exactly cheap. A professional solar installer has the specialized tools and equipment to get the job done. If you watch videos of professional installers at work, completing a photovoltaic installation seems simple and straightforward. But this is only because of their extensive training and experience. In reality, planning and installing an effective rooftop solar power system can be rather tricky for the average homeowner. High-quality photovoltaic panels typically have 25-year warranties. However, if you install them yourself, you might void the warranty. Some manufacturers only cover modules that are installed by a licensed and certified solar installer. Photovoltaic-powered homes generally sell faster and for more money than similar homes without rooftop solar power systems. But these benefits apply only to professionally installed systems — if you complete the installation yourself, appraisers and home buyers may have difficulty assessing the quality of your workmanship. Don’t you want the peace of mind of knowing that your rooftop solar installation was done right? If you live in Utah, Idaho, Nevada, Colorado or Wyoming, contact Intermountain Wind & Solar. As the region’s leading photovoltaic contractors, we’re known for providing exceptional service at an affordable price. Let us show you the advantages of hiring a professional solar installer. To schedule a free consultation, contact Intermountain Wind & Solar today. Commercial solar power is a valuable investment for any Intermountain West business. Going solar cuts electricity costs and improves property value — and going green is a powerful marketing and public relations tool. So what’s involved in making the switch to photovoltaic energy? The professionals at Intermountain Wind & Solar make it easy. Give us a call, and our professional photovoltaic contractors will come out to your business for a complimentary, in-person consultation. We’ll discuss your business’s electricity needs and evaluate your property for effective placement of a photovoltaic array. If you like, we can also perform an energy audit and recommend measures you can take to reduce your company’s energy consumption. We’ll also give you an estimate for installation and information regarding financial incentives for adopting photovoltaic energy. And of course, we’re more than happy to answer all your questions. Once you give us the go-ahead, we’ll get to work — you won’t have to worry about anything. Our professional team will handle every part of the photovoltaic installation. And we’ll take care of any necessary paperwork, including permits, inspections and interconnection agreements. We’ll work hard to get your photovoltaic system up and running fast, so you can begin enjoying the benefits of solar power. When you use our high-quality components and well-trained contractors, your photovoltaic array is sure to provide you with trouble-free operation for decades, and with very little maintenance. Solar Power World has ranked Intermountain Wind & Solar as a top U.S. contractor. And we’re No. 1 in Utah, so you can trust your installation will last. But if you ever have a problem, our photovoltaic warranties provide coverage beyond that of many other professional contractors. And we’re always available to handle repairs. 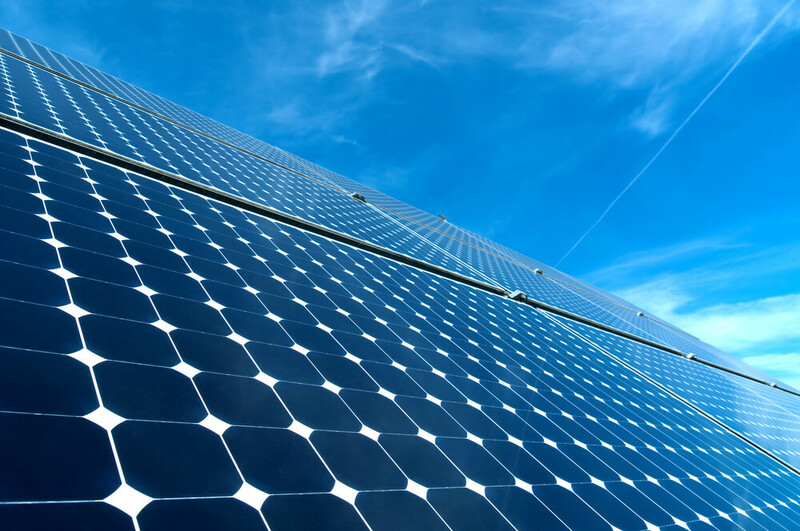 For businesses, paying for a photovoltaic installation is a common concern. With Intermountain Wind & Solar, however, financing is easy and affordable. We want companies to reap the benefits of photovoltaic power, so we help all our commercial customers find an economical way to invest. Often, little or no money down is required to get started with commercial solar power. And businesses frequently cut their photovoltaic investment costs by up to half, thanks to federal, state and local tax credits, rebates, grants and other financial incentives. Ready to get the ball rolling? Intermountain Wind & Solar offers free photovoltaic consultations to companies throughout Utah, Idaho, Nevada, Colorado and Wyoming. To discuss plans for your commercial solar power project, contact us today. How Does the Solar Tax Credit Work in Idaho? The Idaho solar tax credit can make a big dent in the amount you have to pay Uncle Sam at tax time. If you’re an Idaho resident who’s been thinking about adopting solar power, this incentive makes it much easier and more affordable. Not every state offers a solar investment tax credit (ITC). Many states have ended their programs, in response to the dropping costs of investing in a home PV system. But if you live in Idaho, you’re in luck. How Much Can You Save with the Idaho Solar Tax Credit? Of the state-level solar incentive programs, Idaho’s — called the Residential Alternative Energy Tax Deduction — is one of the strongest. The first year after installing your home PV system, the Idaho solar tax credit allows you to deduct 40 percent of the cost of your photovoltaic power project when you file income taxes. Then, for the next three years, you’ll be eligible for a 20 percent state income tax deduction. Each year, the maximum deduction is $5,000. So altogether, you can save up to $20,000 through the Idaho solar tax credit. Can You Still Claim the Federal Solar Investment Tax Credit? You absolutely can apply for both the federal and Idaho solar incentives — and you should. Together, these tax programs can cut your photovoltaic investment costs by 50 percent or more. One important note — make sure to calculate tax credits on your net PV system cost. In other words, subtract other grants, rebates and installer or utility bonuses before figuring the amount of your claim. If you use the gross price, you could get a tax bill in the mail. Does Idaho Have Other Financial Incentives for Going Solar? If you’re an Idaho resident, you have yet another way to save on the switch to solar power. The state of Idaho doesn’t have much else to offer in terms of solar financial incentives — no rebates for adopting photovoltaic power are available, and there’s no law requiring the utility companies to provide net metering. However, all three of the state’s major utilities — Idaho Power, Rocky Mountain Power and Avista Utilities — offer their own net metering programs, even though they are not required to by law. All utility net metering programs give homeowners full retail rate credit for excess energy they produce with their photovoltaic panels. So in effect, you’ll pay for one less kilowatt of electricity for every kilowatt your Idaho solar PV system sends to the utility grid each month. The professionals at Intermountain Wind & Solar can tell you more details about the solar financial incentives available to Idaho residents. We’re not accountants, so you may still want to speak to a tax professional. But if you simply need assistance filling out the federal or Idaho solar tax credit paperwork — or if you have other questions about home PV installation — contact us today. To design a home PV system with optimal solar power output, professional contractors need to consider a number of factors. Orientation, tilt and shading are of special importance, as they all have a major impact on the amount of sunlight that reaches the photovoltaic panels. For home PV systems installed in the Intermountain West, due south is the ideal orientation for harnessing maximum solar power. But what if your roof doesn’t face south? Can rooftop solar panels produce enough energy to power your home? That depends upon your rooftop’s orientation. According to the Department of Energy, photovoltaic panels can face up to 45 degrees east or west of due south without a noticeable drop in energy production. What if your rooftop faces too far east or west? Or if the only usable roof space points north? In either of those cases, professional contractors often recommend installing a ground-mounted solar power array. Or the photovoltaic panels could be installed on another structure, such as a garden shed, awning or parking canopy. Most photovoltaic panels are mounted on rooftops, flat against the surface. But not every roof is angled to best capture the sun’s energy. The DOE says the optimal tilt angle for a home PV system is equal to your latitude. So for example, in Salt Lake City, roughly 40 degrees would be the ideal tilt in terms of solar energy output. Many Intermountain West homes have rooftops pitched at angles less than the local latitude. Since tilt can significantly affect solar power production, professional contractors factor in the roof angle when sizing a home PV system. For flat or low-sloped roofing, special brackets may be used to achieve a more favorable tilt angle. Shading is of major importance when designing a home solar panel system. You could have a south-facing roof at the optimal tilt angle, but if the photovoltaic panels are shaded, your solar energy production will suffer greatly. Professional contractors perform an analysis to determine how much the solar panels will be affected by shade from nearby buildings and trees. The analysis considers the path the sun takes during the course of the day and during different seasons. If shading is a significant problem, an effective home PV system design may include micro-inverters. With micro-inverters, each module operates independently. So if one of the photovoltaic panels is shaded, the others will continue to produce electricity. Installing a ground-mounted array can also solve shading problems. In some cases, going this route results in greater solar energy output. The professional contractors at Intermountain Wind & Solar, the leading photovoltaic provider for Utah, Colorado, Idaho, Nevada and Wyoming, have the experience to design an effective home PV system that offers maximum solar power output. For a free consultation, contact us today. Can You Add Solar Panels to Your Home PV System? What if you install solar panels to offset your energy use and bring down your monthly electricity bills, but a few years down the line, your energy needs increase? Is it possible to add more solar panels? Generally speaking, as long as you have additional rooftop or ground space, you should be able to expand your photovoltaic system. But the project may bring a challenge or two. First of all, if you’re planning to add extra solar panels, you’ll need to contact the photovoltaic contractor who installed your original components. Your installer is your best resource for information on expansion options. More important, however, is the fact that working with a different contractor could void your solar panel system warranty. But what if your original photovoltaic contractor is no longer in business? If you can’t turn to your original installer, contact your PV system manufacturer for advice on expanding without voiding the warranty. The potential for home PV expansion depends greatly on your solar inverter. A string inverter may not be able to accommodate more solar panels. String inverters are sized to generate a certain amount of electricity from the sun’s energy. Unless yours was oversized to begin with, you may need to install a larger capacity inverter in order to expand your solar array. If you installed micro-inverters, you shouldn’t have a problem adding extra solar panels later on. Since each module has its own inverter, expanding your solar array is really just a mounting and wiring project. Looking to plan for the future? If you haven’t already installed your solar array, you can take a few steps to make sure the door to expansion remains open. First, hire a reputable, well-established photovoltaic contractor for your solar installation. While you’re at it, choose components from a well-known manufacturer. If you go cheap, you may end up paying more in the long run if you decide to expand. Also, discuss your future energy use with your photovoltaic contractor. Let your installer know about your concerns, and they’ll be able to design a PV system that can accommodate expansion. Have more questions? The professionals at Intermountain Wind & Solar, serving Utah, Idaho, Colorado, Wyoming and Nevada, can offer expert advice on installing a home PV system. For a free consultation to discuss residential solar panels, contact us today. Have you ever wondered how solar panels store energy for later use? The short answer is that solar modules don’t store energy at all. But that doesn’t mean homes with solar PV systems are left in the dark when the sun goes down. Solar panels have one job — to harness light energy from the sun. The dozens of photovoltaic cells inside the panels generate an electrical charge when exposed to sunlight. However, photovoltaic cells produce direct current (DC) electricity, not the standard alternating current (AC) used for appliances and electronics in the United States. To convert DC to AC, you must connect solar modules to an inverter. When the sun isn’t shining, photovoltaic cells can’t produce electricity. So if you want to use power at night and on cloudy days, another source of energy is a must. Most homes with PV systems are grid-tied, or connected to the municipal utility grid. Essentially, the utility company acts as a bank that automatically ponies up whenever electricity is needed. And in areas with net metering, owners of grid-tied photovoltaic systems get credit for energy deposits to the grid storage bank. Electricity from solar panels can also be stored in a battery bank. Depending upon the size, a battery backup system can hold several days’ worth of photovoltaic energy, or more. Do You Need a Solar Battery Bank? With grid-tied home PV systems, a battery bank isn’t strictly necessary. After all, the utility company can provide backup electricity. That said, more Intermountain West homeowners are choosing hybrid photovoltaic systems. A hybrid system is grid-tied, but also has solar batteries. With power outages on the rise, a backup source of energy is an attractive feature. If you’re not planning to connect to the utility grid — perhaps your home is too remote, or you’d rather be self-sufficient — you’ll need a battery backup system for around-the-clock electricity. Or if you prefer, you could invest in a solar-powered generator. For peace of mind in knowing that you’ll always have home energy, however, you may want to get a battery bank and a generator. Have more questions about how photovoltaic energy works? Or are you ready to explore your home PV options? Intermountain Wind & Solar offers free consultations and estimates to homeowners throughout Nevada, Utah, Idaho, Colorado and Wyoming. Contact us today to learn more about installing solar panels.